An air-dashing focused platformer developed by LAME Dimension for Touhou Fan Game Jam 3. The game stars Sumireko Usami from the Touhou series, where she must fight against cockroaches. 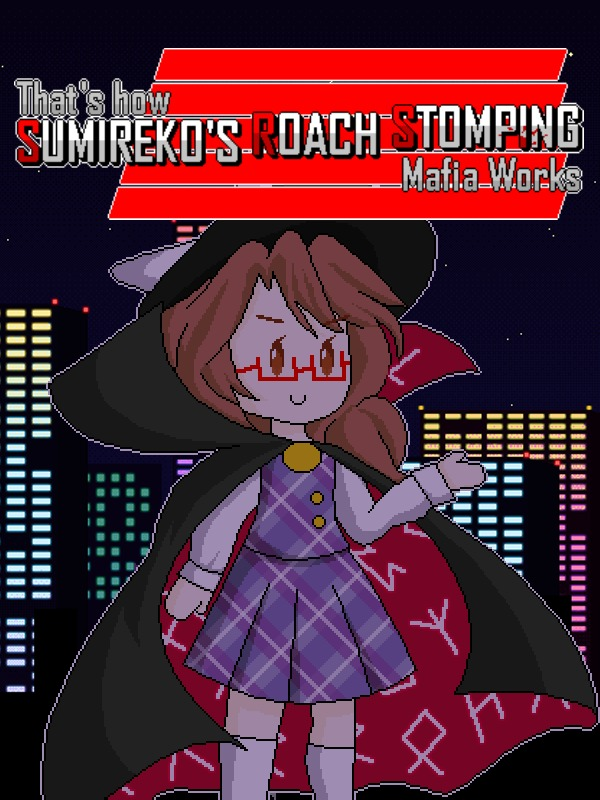 That's How Sumireko's Roach Stomping Mafia Works is a game developed for Touhou Fan Game Jam 3, featuring Sumireko Usami. The game was completed in January 13, 2019. Within the game, Sumireko can gain levels and get promoted into different classes. Upon promotion from Crook to Hitman, Sumireko gains the ability to air-dash, allowing her to reach farther distances with her increased air speed.